At Harcourts Vermont South, we promise to you a focus on establishing trust and respect to our clients who always remain at the centre of the process. Combined with world-renowned technology and training systems we are able to assist you with all your Real Estate needs now or in the future. Whether you are a seller, buyer, landlord or tenant we treat you with high priority and become your choice of agent forever. In an increasingly fast-paced world, Harcourts Vermont South know that while people want a professional efficient service, they still prize the fundamentals of honesty and integrity from real estate consultants committed to achieving their clients’ goals. 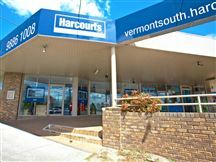 Here at Harcourts Vermont South, the Director Frank Chen has developed his team comprising of Sales, Property Management and Administration. Frank has a proven history of knowing what his clients want and needs. Our team is here to help with all your property matters. Our Mission Statement: "To always put our client's needs first by providing the highest level of service in an ethical and professional manner." Frank Chen was born and raised in Hong Kong and boasts more than 28 years experience in Real Estate in Melbourne and New York. Married for 35 years to his wife Mun Lee, he raised his family in Vermont South while building a flourishing career as a respected local Real Estate Agent. Frank knows Vermont South and its surrounds like a GPS – the streets, schools, shops and the services. The personal stories and history that come from living and breathing a suburb for more than a decade. That knowledge can’t be learnt overnight and gives Frank a broad and intimate perspective on the property market. He has sold more homes in the district than any other agent. Frank was here before McDonalds, before the tram and before the suburb became a growth area for families in the East. Frank believes the secret of his success is that he truly loves Real Estate: the challenge of selling each property, developing bonds with Vendors and buyers and the commitment it takes to guide one of the biggest purchases most of us will ever make. Now Frank has joined one of the fastest growing franchises, Harcourts. Equipped with sophisticated new technology and marketing which has moved buying and selling into the digital age. Even after all this time, this seasoned agent takes his life mantra from the great Chinese saying: “Learning has no limitation”. Jimmy came to Australia from Shanghai, China and graduated from the Shanghai University with a Bachelor Degree of Public Administration. After working in the hospitality industry for five years, Jimmy start changing to the real estate industry. Both overseas and local life experience gave him a good understanding of buyers from different cultures. Also being able to speak fluent Chinese will help overseas clients during selling and buying procedures. Jimmy thinks the greatest asset in business is a good reputation and attitude. Jimmy's good name, attractive personality together with an enduring passion for people and real estate are the reasons why he consistently delivers honest, specialized advice in the best interests of his clients. Jimmy believes that selling a house is one of the largest financial transactions anyone will make. They need to be assured that the agent they appoint will support them throughout the process and make sure every minor detail has been accounted for. Jimmy also has a strong belief to build highly professional and ethical business relationships with his clients. Combining a vendors’ objective with a buyer’s dream often means achieving the best possible price along the way, which gives Jimmy immense satisfaction in his chosen career. Julian grew up in Melbourne, was an accomplished businessman in the IT industry before he followed his heart and decided to pursue his love of Real Estate. Living locally with his wife and two children, what Julian brought with him when he joined Harcourts were finely honed customer service skills and knowledge of what needs to be done to achieve the best outcome for his clients. Julian is a genuine individual and when you employ him as your real estate agent, you will have someone who understands the ins and outs of real estate. Many home owners find him very friendly, and above all, the ability to professionally negotiate the best price for them in any market. Besides English, he is also fluent in Cantonese. As Julian puts it, “As your real estate agent, my job is to get the best out there. Any method of sale will deliver good results so long they are used properly. But most importantly, you have to know when to use it. Our market is always changing. High-touch is always better than high-tech, even in this day and age, especially when it comes down to fulfilling human needs...” To keep fresh, he has a regular gig at a club playing music. Occasionally he would go and practise his golf swings with his friends. Living locally, Ken is recognized for his straightforward, honest and consultative approach to real estate dealings with both sellers and buyers. His amiable personality and genuine interest in listening to client’s needs, and providing them with timely advice makes the sale process a more pleasant experience for all involved. Prior to real estate, he had a successful career in the corporate sectors holding various senior positions in management consulting, project management and engineering. Besides English, he is also fluent in Mandarin and Cantonese. With Ken’s local market knowledge and insight, combined with his well-honed negotiation skills and strong work ethic, you can rest assured that you are in the most professional hands. Delivering a consistent high quality service with trust, integrity and knowledge is what Ken strives towards each and every time. To keep fresh, he enjoys discovering new places with his family when traveling, camping and hiking as well as taking nature walks and cycling. Rachael is one of Harcourts Victoria’s top 10 sales consultants, experienced in both sales and management. Having moved to Australia after founding a highly-successful English tutoring business in China, Rachael lives locally and has a broad knowledge of the real estate market in the eastern and surrounding suburbs. Her extensive experience in both Australia and China gives her the advantage of understanding sellers and buyers from both cultures. Rachael works hard to achieve the best result for her clients. Genuinely interested in both the seller's and buyer's needs, her excellent communication and negotiation skills allow her to match buyers to sellers and achieve fantastic results. Rachael is studying a Master’s of Business part-time at Monash University. She loves jogging, dancing and travelling with her husband. She believes a person should never stop learning, especially about other cultures and their people. Katie Moore was born and raised in the Melbourne Suburbs and has recently moved back to the area after living in regional NSW for a couple of years. After completing her secondary education Katie spent a number of years working in the Retail Jewellery Industry and progressed to management where she honed her customer service skills and developed her passion for administration. She has recently completed formal studies in Business Administration and having worked in administration/reception Katie has since begun her career in real estate. With a commitment to providing exceptional customer service, a flair for administration and a friendly, cheerful personality Katie always strives to exceed expectations and will go the extra mile to ensure that your experience with us is a positive one.